In 2013, an adviser to the UN suggested March 20th to be observed as the International Day of Happiness. Happily enough, all 193 nations voted unanimously in favor of the new holiday. And that made today Happiness Day. 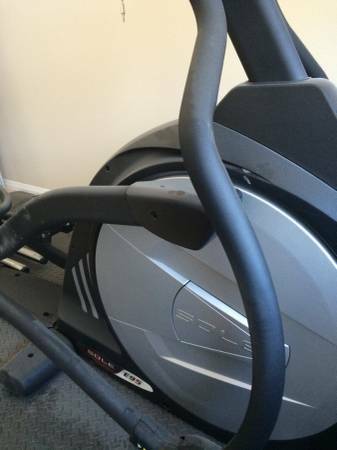 Hub City Sports presents our new 2016 fitness machines (part 1); The Sole E95 Elliptical is considered by most users and experts (consumerreports.org, ellipticalcardio.com) to be one of the best home and gym elliptical because it has a motor-adjusting incline ramp, heavy flywheel, adjustable foot pedals and a whole host of features. Also, the product is backed by quite good customer support. The only thing one may not like about this product is that it tends to squeak occasionally and it also makes a few unnecessary click sounds. However, the Sole E95 Elliptical has many of the features that you want from an elliptical. There is no skimping on quality of build and the heavy flywheel and strong frame as well as excellent warranty and customer support all help to make this a best buy product. 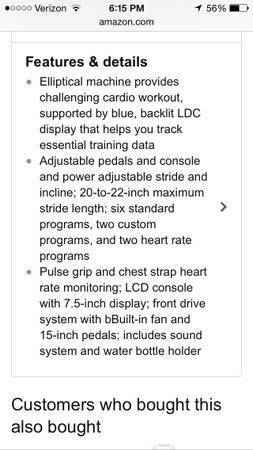 Its motor-adjusting incline ramp and couple of heart-rate interactive programs as well as adjustable foot pedals are its top features. 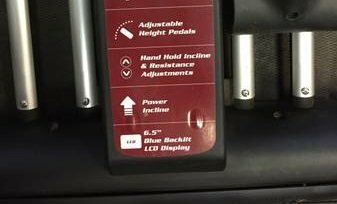 It’s a step down form the more expensive Sole Light Commercial E98 Elliptical, but a step up from the Sole E35 elliptical we installed in 2015. Everyone who has tried out this elliptical says that the heavy flywheel offers maximum comfort of use and a nice natural step. The nice thing is that this elliptical is also very solid and very stable. If you want to brake then the quiet braking system offers smooth and very reliable braking. If you want to adjust the length of the stride then there are options available to adjust between twenty and twenty-two inches. The motor-adjusting incline ramp lets you adjust the incline ramp to between zero and forty degrees and the Slope E95 also functions in forward as well as reverse. The E95 has been voted the best and for good reason. It not only performs well but is of great value as well. The electronic console for example is very easy to use and it has all the features that you would want. The nice LCD gives you a nice readout. It also comes with an inbuilt cooling fan and a holder in which you can place your water bottle. Built-in speakers in the console give you an opportunity to listen to your favorite music. All that you need to do is hook your MP3 player or iPod and then you can listen to your favorite music while using the E95. The drive system is excellent. It works almost noiselessly and functions in reverse as well as forward modes. The flywheel weighs all of thirty-four pounds. With a high gear ratio, which you normally do not find on competing models, this elliptical gives you a smooth motion and a lot of resistance to ensure a more strenuous workout. For more resistance, you can make use of the motor-adjusting incline ramp. It is up to you to determine what incline level works best for you. In fact, you can use different incline positions for more diverse workouts. It is possible to adjust the ramp from zero to forty degrees to ensure that you can target all the main muscle groups in your lower body. The Sole E95 Elliptical also allows you to work your upper body. The nice thing is that the E95 has excellent grips and the handles have controls to adjust the incline and resistance. On the handlebars, there are built-in pulse sensors that help you to monitor your heart rate. The E95 is also sold with a heart rate chest strap. The foot pedals are larger than large and offer excellent cushioning to give you a more complete workout. 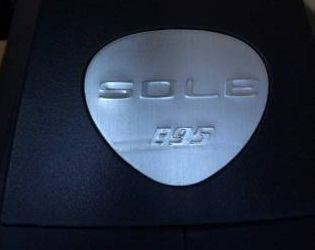 The nice thing about these foot pedals is that they have been designed to have a two-degree inward slope to help cut down stress on your knees and ankles. The best part about these foot pedals is that their angle can be adjusted. This is a feature that you won’t find on any other model – no matter how costly it is. Thanks to a dial, which is known as the worm drive, you can dial in the exact amount of adjustment of the foot pedal. The end result is that you will not feel toe numbness and your Achilles tendons will also not feel sore. 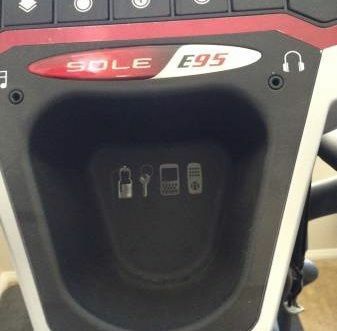 No other elliptical offers this feature. Finally, the E95 elliptical has four wheels at the back and these wheels rid on heavy-duty rails to provide greater stability and lesser sideways motion of the pedals. Such a feature is normally only available on the costlier elliptical models. 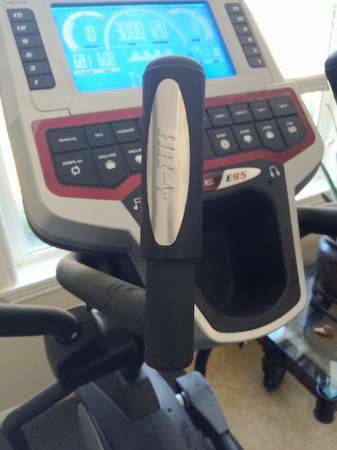 The notable part about buying the Sole E95 Elliptical is that its frame is backed by a lifetime warranty and the parts and electronics are backed by five-year warranty. We want you feed back! The company that makes the Sole E95 elliptical also offers a two-year labor warranty (they will review your application to make sure you qualify). Hub City Sports just got some new fitness equipment; The Sole Fitness E35 Elliptical Machine features fully adjustable pedals, adjustable stride length and an incline to give you a more challenging cardio workout, which is suitable for all people of various sizes and heights. The machine also has an LCD screen which shows you the track data including the time, calories and the distance. By offering this information, it assists you to properly monitor your workout. Its fully moveable handlebars have pulse grip monitors although the designer also included a chest strap to monitor the heart rate without having to stop. The front driven mechanism that offers a fluid and smooth motion and with large pedals allows larger feet sizes to easily use the machine. 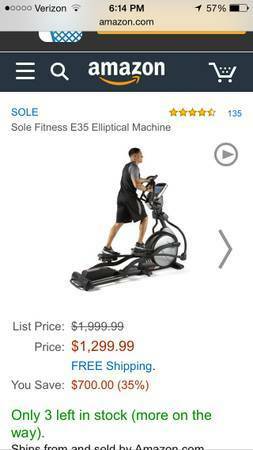 Sole Fitness is the producer of this elliptical machine. They are health and fitness equipment providers. They are widely known for the treadmill range although they have now entered into elliptical world by offering great trainer that tricks every body muscle. The leading consumer websites have rated the Sole E35 ellitical machine the best buy while the leading consumer magazines for value and quality have rated it as the best buy. It is any easy to use electronic console featuring an LCD blue back lit display. It has a water bottle holder and a built in cooling fan. Further, the console consists of built in speakers, which will allow you to hook up an MP3 player for easier listening. As pointed out by elliptical consumers, in one of their Sole E35 elliptical reviews, its whisper quiet drive system provides a fluid natural motion which functions in reverse and forward motions. Further, it has a heavy 29 pound flywheel and a higher gear ratio combination that you can hardly find in the other comparable models. This means that with this model you will experience a smooth feel with higher resistance at its top end, which will provide you with a challenging workout. The Sole Fitness E35 has power incline feature that offers some additional resistance and variable positions for a wider diversity in your workouts in touch of a button. Moreover, you can fully adjust the machines ramp angle from 0 to 30 degrees. This allows you to specifically target and work any major lower body muscle. The upper body exercise offers total body workout. The machines stationary handle bars which feature built-in pulse sensors will assist you to monitor your heart rate. The designer also includes a heart rate chest strap to offer hands free pulse rate monitoring and the heart rate interactive programs. 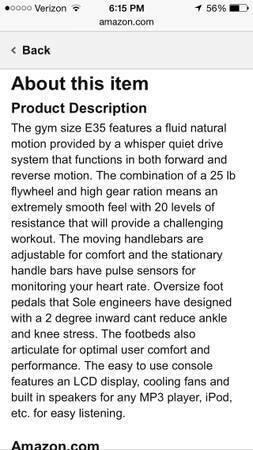 This machine has oversize foot pedals that will offer you comfortable workout. The foot pedals designers worked in collaboration with sports enthusiasts and therapist to come up with a 2 degree inward slant to foot pedals. This reduces knee and ankle stress which is very common in many elliptical machines. You can also adjust the foot beds for customized comfort. The machine has four wheels that ride on heavy duty rails. These wheels provide you with a smoother and more stable feel and also reduce the side to side pedal motions. You can only get this feature in the more expansive models. This elliptical bike offers you a chance to adjust its stride length from 22 inches to 20 inches. Twenty inches is the common stride range for most elliptical bikes. Having a chance to adjust the stride length is a better way of ensuring your comfort while exercising. After purchasing this machine, it comes with 10 preset programs and other 2 programs that you can set by yourself. The machine offers more routines, the 10 preset programs provides you with a wide range of workouts to gaining strong muscles and building endurance. Furthermore, while working out you can easily know how fast your heart rate while working out is. You only need to grasp the stationery handlebars to utilize the heart rate sensors. They register your heart rate and display it on the screen. You can also rely on the chest strap to determine your heart rate while working out. The producer company also offers a warranty package. It includes a lifetime warranty on the elliptical bikes frame, five years warranty on the other parts and two years on the labor. A lifetime frame, 2 years labor warranty and 5 year electronic warranty. The machine has a higher specification which the producer offers at a price that ranges between $ 1000 and $ 1500. The price is within the higher range of elliptical trainers. Sole Fitness E35 Elliptical Machine is suitable for the advanced users who utilize incline range and the resistance settings since a beginner might find the machine overpriced. 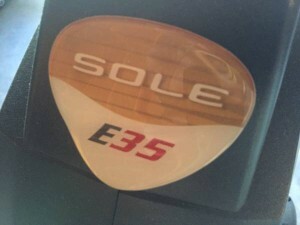 The Sole E35 elliptical has lots of positive feedback which surround its smoothness and quietness (both from consumer reports and elliptical consumers). 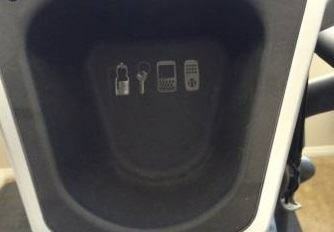 In fact, these are the two most important things in an elliptical machine, which most people highly consider. Nobody would go for an elliptical machine that they will need to hide in your garage due to its noisy nature. In addition, most individuals are happy with machine’s range of functions and its solidarity and the fact that it is very easy to assemble and get using. However, some users indicate that this machine is very heavy and you might require setting it up in a place where you won’t need to keep moving it. 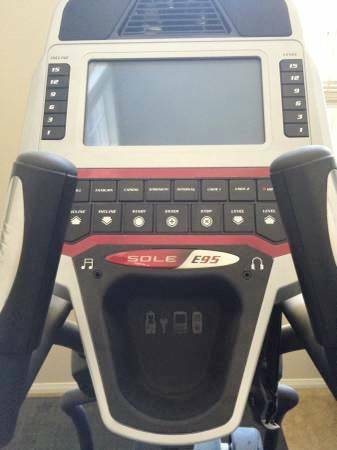 Other negative Sole E35 elliptical reviews relate to the high installation cost and the 2013 model has many errors that recur on the computer. The Sole Fitness E35 Elliptical Machine is a valuable equipment for cardio exercises. Its latest advanced technology is meant to make it easy for you to use and feel the comfortable while training. 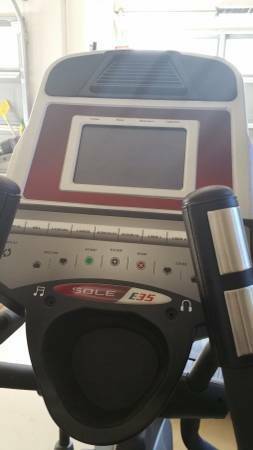 The Sole E35 Elliptical machine is, depending on your specific needs (please read the online Sole E35 reviews), probably a good value for your money. A couple of advise for cyclist training on the elliptical from gym workout authority Maximillan Tapper. Pedaling narrow trails requires special skills that you can develop and improve during every ride. Start by keeping your arms flexed, not locked. On rocky or rutted trails, try to follow the path of least resistance. Imagine where you want your bike to go, and don’t focus on the obstacles you want to avoid (if you do, you’ll probably hit them). Learn to use both your front and back brakes. 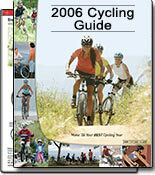 On steep climbs, lower your elbows and drop your upper body closer to your bike¹s top tube. This will help you maintain tire traction. Finally, hold the handlebar firmly but not with a death grip–too much squeezing will make you tired and increase the likelihood that you¹ll make steering mistakes.